Massachusetts Traffic Safety Watch: Counterfeit Airbags Endangering Your Family? Would your airbags protect you and your family if you were involved in a car accident? Officials with the National Highway Traffic Safety Administration (NHTSA) are saying that they might not if you’ve had them replaced within the last 3 years. Recently, safety officials announced a safety advisory alert for counterfeit airbags. There have been some problems with organized criminals selling fake airbags to various mechanics in the state. These airbags were most commonly purchased online. Our Boston personal injury attorneys understand that the untrained eye may never be able to identify one of these airbags. They have the same insignia and the markings of major automakers. They’ve been created to mimic original, certified airbags. The NHTSA has already completed a test that has determined that these airbags run the chance of not deploying at all when needed, and some even caused explosions and shrapnel deployment. Officials have also not been able to pinpoint which cars they can be found on. This is not a risk you should consider taking. If you’ve had your airbags replaced in the last 3 years by a shop not affiliated with a new-car dealership, you should consider getting them checked out by a professional. That’s the only way that you’re going to be able to tell if you have one of these counterfeit airbags. If this pertains to you, then you should get in touch with the call center that has been created by each auto manufacturer to schedule an inspection of your vehicle. You can get more information about these call centers and more information on the counterfeit airbags on the SafeCar website. “Anytime equipment that is critical to protecting drivers and passengers fails to operate properly, it is a serious safety concern,” said Ray LaHood, Transportation Secretary. It’s important that all vehicle owners are alerted about this situation. Share this information with your friends, your family and your loved ones. It could help to save lives. It’s also important that you keep up with the latest vehicle safety recalls. Many times, vehicle owners are never informed about their vehicles and the dangers that accompany them, including problems with the tires, the internal and external devices and even the airbags. Airbags are one of the most important lines of defense in the event of a car accident. It’s critical to make sure that these devices are working correctly — at all times. 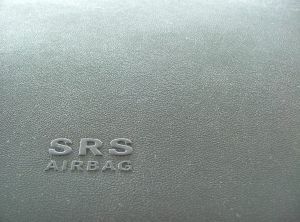 To help to stop these airbags from being installed in our vehicles, the NHTSA is working alongside the U.S. Department of Justice, the U.S. Customs and Border Protection and the U.S. Immigration and Customs Enforcement to make sure that none of these airbags are making their way into the country. Organized criminals are developing and selling these kinds of dangerous products. It’s clear that they have little to no regard for U.S. safety. Have your airbags checked today! If you or a loved one has been injured or killed in an auto accident, contact Jeffrey S. Glassman for a free and confidential consultation to discuss your case. Call 1-877-617-5333.